In a post-apocalyptic world, Sloane Delaney struggles to keep her daughters safe. With all her neighbors gone and her abusive second husband dead, Sloane and her daughters, Mae and Wren, maintain a dangerous charade to keep looters at bay from their neighborhood. When young Nicole shows up on their doorstep, nearly dead from dehydration and starvation as a result of her father’s growing paranoia, she joins the determined group as they adjust to life without most of the luxuries they had previously taken for granted. 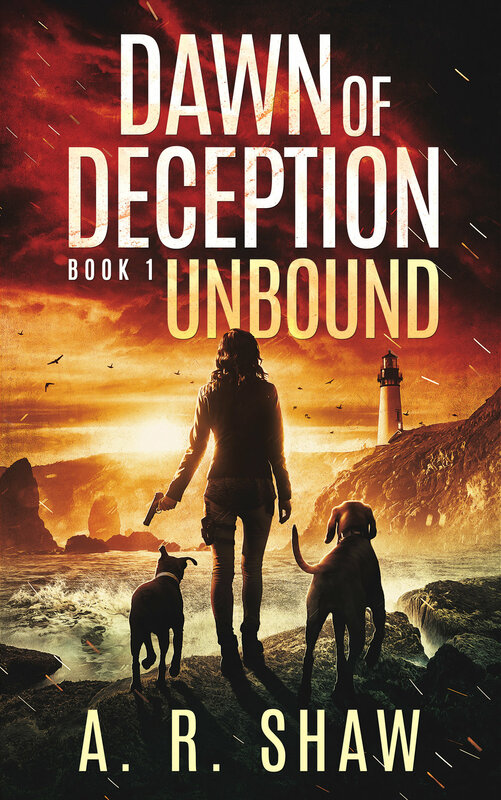 Aided by a pack of abandoned dogs, the women are able to project an image of an occupied and active neighborhood until corrupt FEMA agents arrive on the scene, threatening their hard-won sense of security. Fleeing their now-unsafe home, Sloane and her girls head for the woods and an abandoned old house Sloane is sure will be a safe haven for at least a few days. She doesn’t count on the handsome and helpful Dr. Kent having also taken refuge there. With her girls’ lives on the line, can Sloane learn to trust again in this dangerous new world?